And now, Ashdene has collaborated with Kate Knapp, to bring the beautiful, captivating children's character, Ruby Red Shoes, from the pages of her storybook to life. Made from fine bone china with a modern flare rim, this wonderful Wide Flare Mug has been lovingly decorated with illustrations from the book. 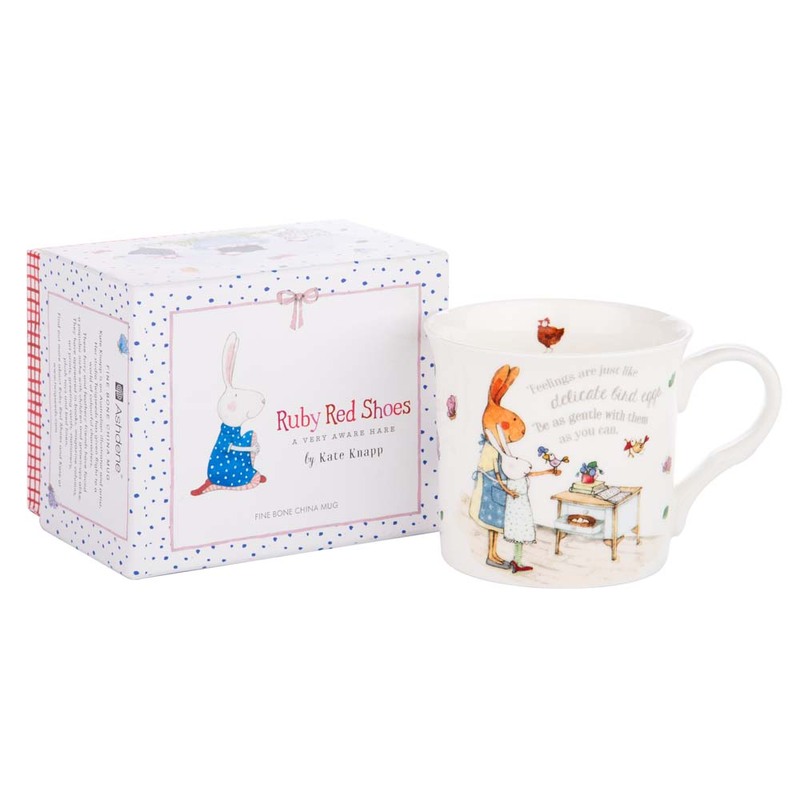 The different scenes are accompanied by excerpts from the whimsical story, so every time your child takes a sip from the mug, they'll be inspired to connect with nature just as Ruby Red Shoes does. Designed in Australia by Kate Knapp exclusively for Ashdene. Features illustrations from the children's book, Ruby Red Shoes. Mug has been decorated with the phrase: "Feelings are just like delicate bird eggs. Be as gentle with them as you can". Presented in an Ashdene Ruby Red Shoes box. Dimensions: 8cm (h) x 8.5cm (w).